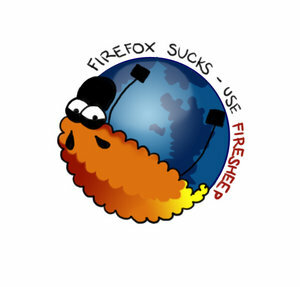 You can find our previous post regarding HowTo use Firesheep on linux. This release is focused on Google search. If you are using Google Search services using a unsecured Wifi network, you searches are visible to MITM guys. 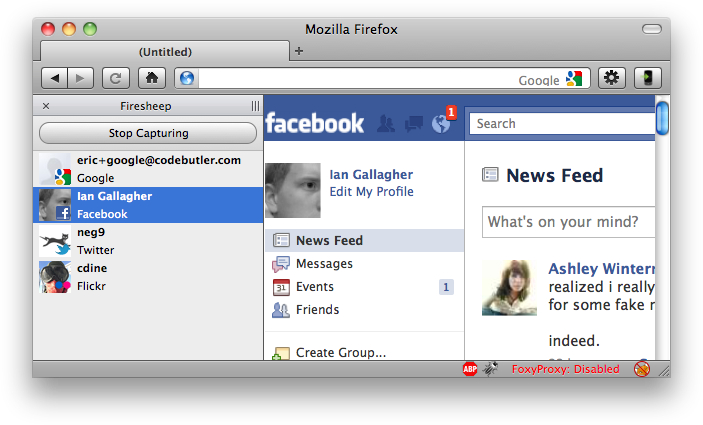 When you are logged in on gmail.com and use google searches, Google’s sid cookie is easily captured through FireSheep. As soon you see sid cookie click on it and see visited links by victim. How to be safe from FireSheep extended release? Don’t use Google search while you are logged in on gmail.com on unsecured WiFi Networks. Come on damn.. Its not new! 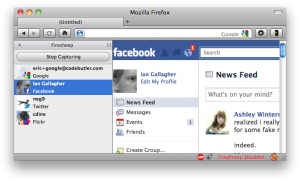 😀 Its an old firefox addon. I am explaining it here for how can you use or install it on Linux. remote: Counting objects: 1020, done. Receiving objects: 100% (1020/1020), 5.48 MiB | 123 KiB/s, done. Resolving deltas: 100% (589/589), done. remote: Compressing objects: 100% (328/328), done. Receiving objects: 100% (815/815), 185.18 KiB | 95 KiB/s, done. Resolving deltas: 100% (549/549), done. How to Load it into Firefox?